The Piranha Guitar Bow, patented and handmade exclusively by Hello Mfg., is available for purchase here or by mail. The Piranha-pack comes with a genuine black leather pouch, mini-rosin block, and a wipe cloth. Cupped discreetly in the guitar player's hand, that is where the subtlety ends, as you demonstrate the wide range of tones, sounds (staccato), harmonics, growls, and pitches you can achieve with a stroke or a stab to the strings. There is no need for a 9-volt, as this guitar effect is powered on pure creative energy. The only limitation is your own creativity. This non-electric hand-held bow is perfect for acoustic, electric guitars, and even bass players aren't excluded for a simulated cello effect. 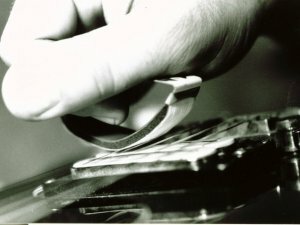 Guitar players will want to check out this guitar accessory that applies the techniques used on the violin to your guitar playing. 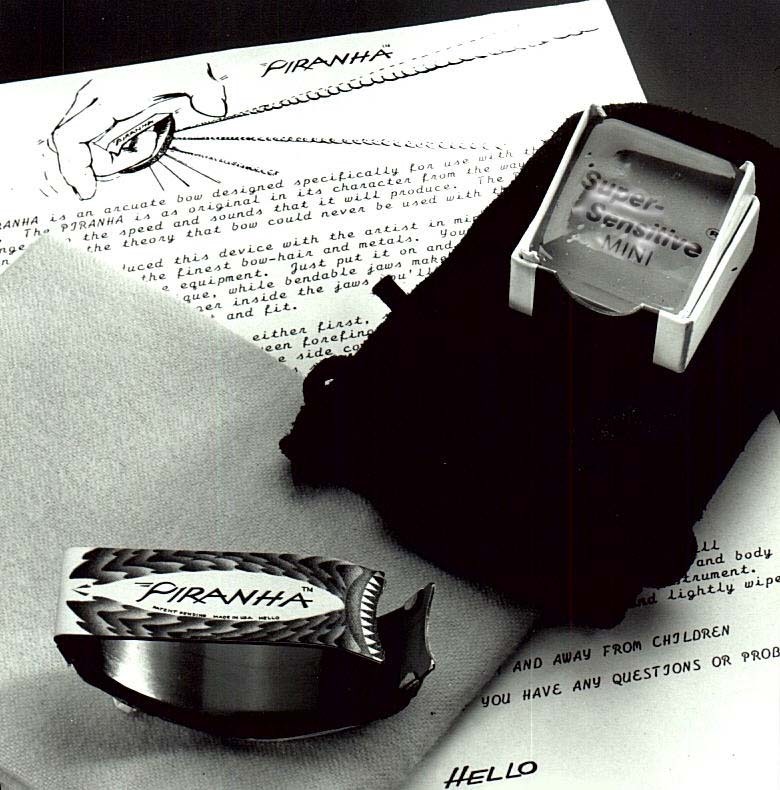 In short the Piranha is a great toy for the alternative mind. However, as with all musical devices "Practice makes perfect." Expand the boundaries of your current style by adding subtle drones or attack the strings for a fierce metal crunch. Add some bite to your playing with the Piranha Guitar Bow.